These beautiful and unique dangle earrings are made with dried and pressed hydrangeas with gold foil background encased in resin to preserve the beauty of the flowers for years to come. You can choose the material of the ear wire: gold filled or metallic wire in gold color. These complementary pieces are both made using both large and small sparking red goldstone beads strung together with golden Toho beads, matching flower bead caps and finished with a golden lobster clasp giving it an elegant and thoughtful feel. Pretty earrings made with semi-precious Rose Quartz beads. Two different sized silver plated jump rings have been joined together to make a small chain section between the Rose Quartz and ball wire hooks. 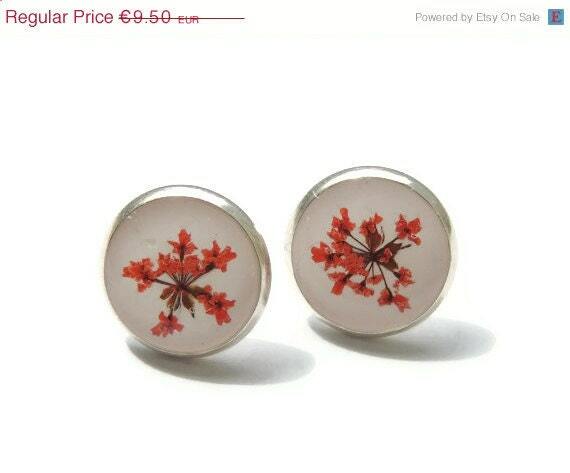 These earrings are made with dried and pressed bougainvilleas. The bougainvillea petals have laminated in a layer of plastic film t to preserve the beauty of the flowers. The ear wires are made of silver and are nickel-free. Beautiful and delicate earrings made with dried and pressed flowers encased in resin to preserve the beauty of the flowers for years to come. The ear wire is made of brass. 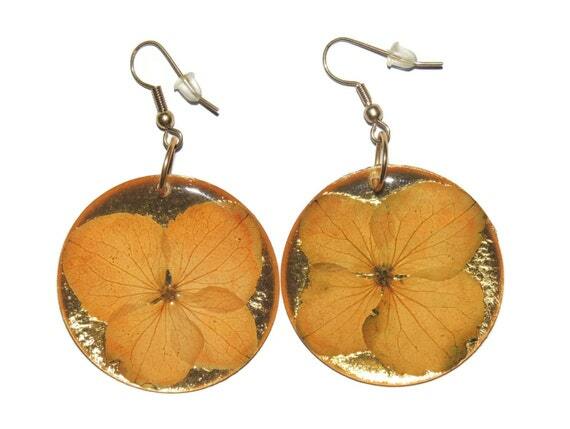 These beautiful pressed flower earrings are amazingly light. They are just the perfect complement for your outfit! Or a original present for that special person you love. 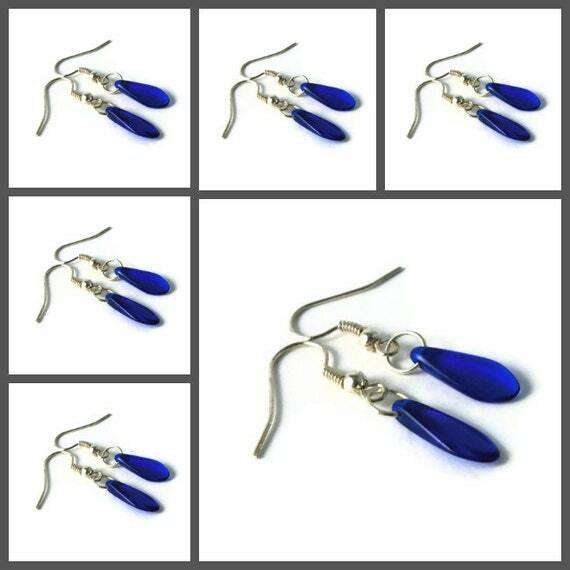 A set of 4 pairs of dainty deep blue glass dagger beads suspended from sterling silver earwires. 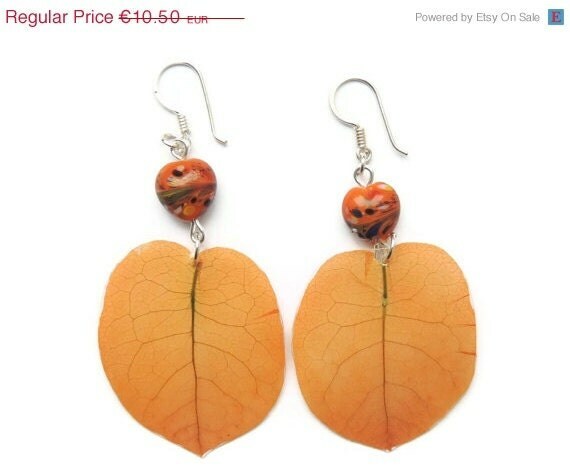 These earrings measure 1 inch (2.25cm) from the top of the ear wire, so quite dainty and will come with an organza bag so perfect for giving or treating yourself.